In this life time, we are supposed to achieve levels of love; love of our self, love of course of the Creator, love of a significant other, what it is like to really love your family, love your friends, and love the world. We need to be able to master these, but how can we master these if our programs already carried by us say that it is impossible? Our next relationship seminar is You and the Creator where we show and teach the students to understand the undercurrent of their own subconscious mind. How their body actually works at solving problems and how they actually know the difference between communicating with energy of the Creator and communicating with their ego or with their higher self. Remember the Creator is an energy of perfect and pure love. It is a knowing love. And it will change your life. This energy, this life force, is in every atom, and in every atoms, atoms are a part of you and part of everything around you. We will learn the difference in discerning and you will learn how to work and re-guide your subconscious to work for you. This is an important seminar because every time I teach a seminar someone always says how do I know if the answer is from the Creator? This seminar will teach you how to direct your mind to understand. 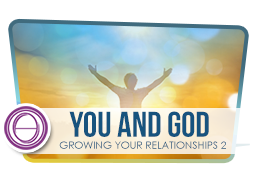 This seminar is available for Basic, Advanced, Dig Deeper Practitioners and may be taken with the You and Your Significant Other: Growing Your Relationships 1 or by itself.